In 1880, about sixty families of Polish descent (Silesian Poles) bought the land in this sparsely settled area. After their arrival, the town became known as Kosciuszko, named after the noted Polish American hero, General Thaddeus Kosciuszko. 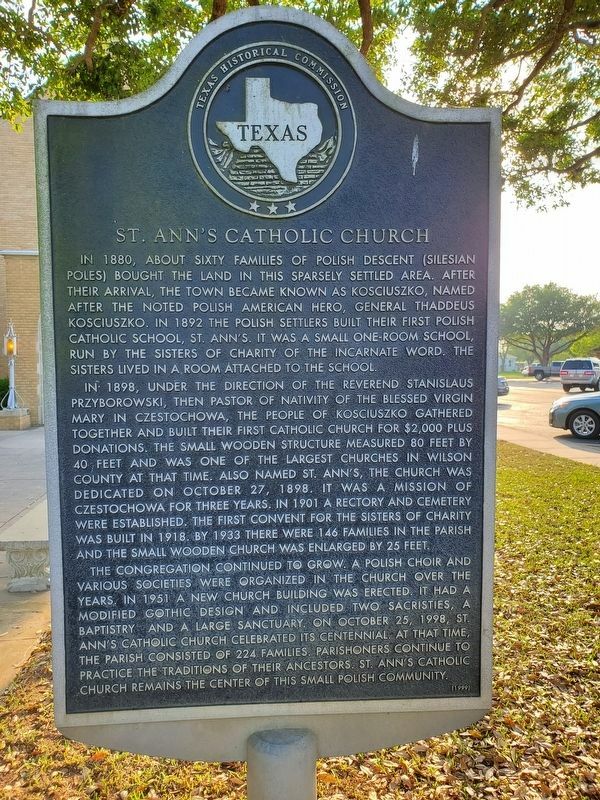 In 1892 the Polish settlers built their first Polish Catholic school, St. Ann's. 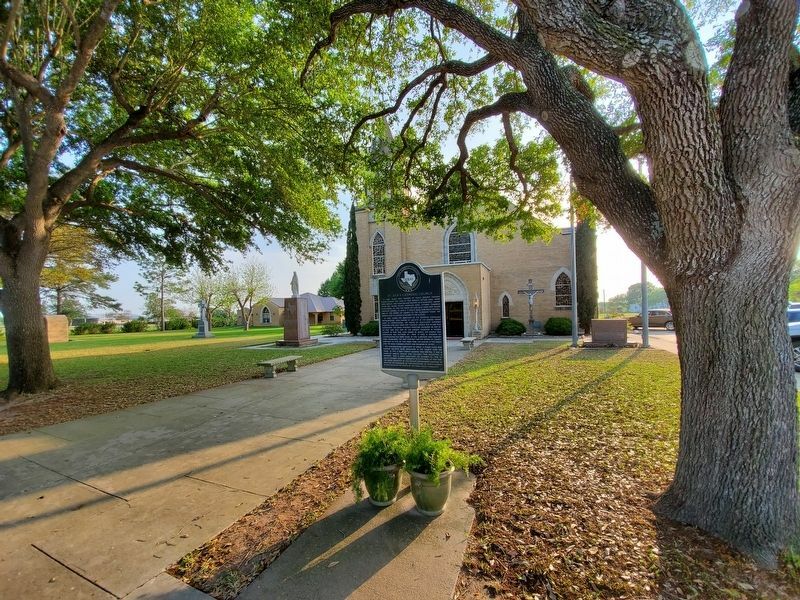 It was a small one-room school, run by the Sisters of Charity of the Incarnate Word. The Sisters lived in a room attached to the school. In 1898, under the direction of the Reverend Stanislaus Przyborowski, then pastor of Nativity of the Blessed Virgin Mary in Czestochowa, the people of Kosciuszko gathered together and built their first Catholic church for $2,000 plus donations. The small wooden structure measured 80 feet by 40 feet and was one of the largest churches in Wilson County at that time. Also named St. Ann's, the church was dedicated on October 27, 1898. It was a mission of Czestochowa for three years. In 1901 a rectory and cemetery were established. The first convent for the Sisters of Charity was built in 1918. By 1933 there were 146 families in the parish and the small wooden church was enlarged by 25 feet. congregation continued to grow. A Polish choir and various societies were organized in the church over the years. In 1951 a new church building was erected. It had a modified Gothic design and included two sacristies, a baptistry and a large sanctuary. 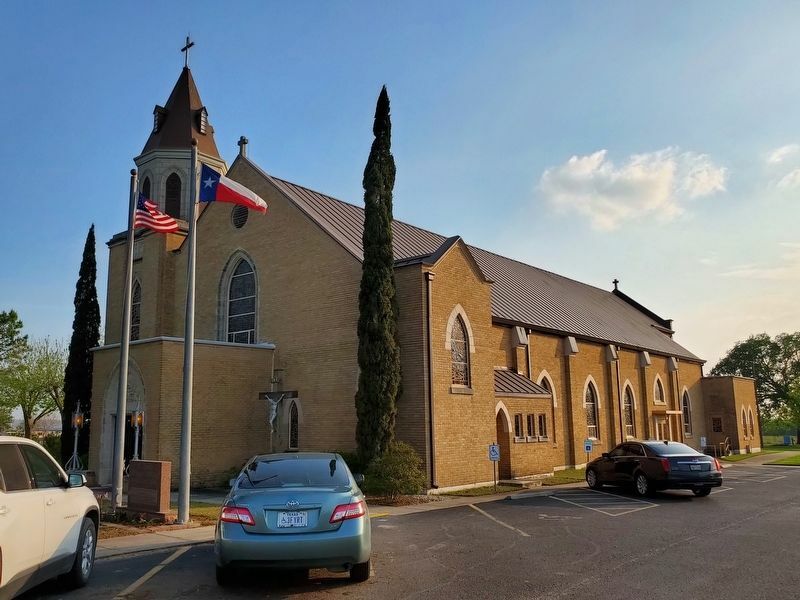 On October 25, 1998, St. Ann's Catholic Church celebrated its centennial. At that time, the parish consisted of 224 families. Parishioners continue to practice the traditions of their ancestors. St. Ann's Catholic Church remains the center of this small Polish Community. Location. 29° 6.302′ N, 97° 57.102′ W. Marker is in Kosciuszko, Texas, in Wilson County. Marker is at the intersection of Farm to Market Road 541 and Farm to Market Road 1347, on the right when traveling south on Road 541. Touch for map. Marker is at or near this postal address: 8161 FM 541, Stockdale TX 78160, United States of America. Touch for directions. Other nearby markers. At least 8 other markers are within 11 miles of this marker, measured as the crow flies. El Fuerte del Cibolo (approx. 6.6 miles away); Nativity of the Blessed Virgin Mary Catholic Church (approx. 6.6 miles away); Nativity of the Blessed Virgin Mary Catholic Cemetery (approx. 6.8 miles away); Pilarczyk Store (approx. 10.7 miles away); First Store in Panna Maria (approx. 10.7 miles away); Panna Maria, Texas (approx. 10.7 miles away); Town of Panna Maria (approx. 10.7 miles away); Immaculate Conception Church (approx. 10.7 miles away). More. Search the internet for St. Ann's Catholic Church. Credits. This page was last revised on April 9, 2019. This page originally submitted on April 9, 2019, by Brian Anderson of Kingwood, Texas. This page has been viewed 33 times since then. Photos: 1, 2, 3. submitted on April 9, 2019, by Brian Anderson of Kingwood, Texas.